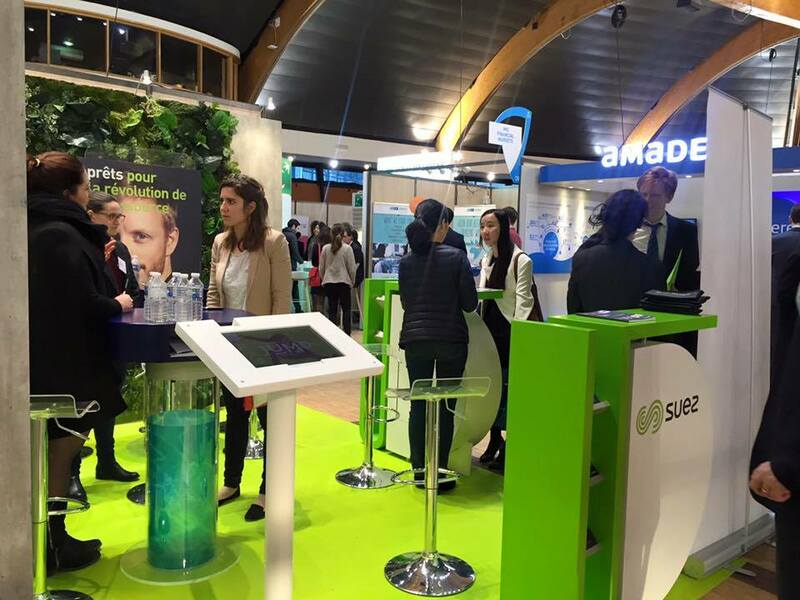 The Forum Campus is the major recruiting event at ESSEC. More than a hundred companies offer students the unique opportunity to receive first-hand information and to ask their questions. 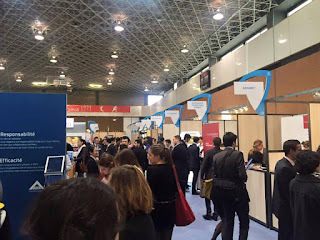 The Forum Campus is my second recruitment fair at ESSEC and I would like to share with you what I have learned and changed after the first fair to be more successful! 1. Speak French, the effort counts: The chances of getting an internship are equally divided between French and international students at ESSEC. Nevertheless, making the effort as an international student to speak to companies in French shows extra motivation. This is an attitude companies in France value very highly and which might open many doors. · 2. Speak to as many companies as you can: It is wise to strategically pick the companies you want to speak with to have sufficient time for each of them. Nevertheless, do not stop afterwards, or worse leave the fair. Continue speaking to companies, in many cases companies you did not have on your mind have very interesting and challenging opportunities. · 3. Speak to the companies at the right time: To avoid waiting for ages to speak to companies, go at the right time. Especially right after the Fair starts is a very good moment. Most of the students do not go straight in the morning. Also, lunch time or late in the afternoon are good to avoid the rush-hours, however here you might take the risk that the company representatives are tired or hungry and will not take as much time for you as in the morning. · 4. Get in the flow: Speaking to companies is all about selling and presenting yourself. To be at your best you need to be in “the flow”. Before you speak to the company you are interested in take the time and speak to 1-2 companies you are not that interested in just to practice and not to be nervous when it matters. · 5. Host a company! : Hosting a company is the best and easiest way to convince a company that you are a perfect fit for them. Furthermore, the opportunity to spend the whole day with the representatives of a company is a great and interesting experience. It enables you to speak to more than one of them, so you can get insights in different departments of the company. Do not let this unique chance slip!